Yom Kippur, the “Day of Atonement”, is when Jews spend 25 hours trying to turn around and get back to God. It is the last of ten days of teshuvah (תְּשׁוּבָה), often translated as “repentance”, though teshuvah literally means “returning, turning around’. On Yom Kippur we acknowledge our collective as well as individual sins and misdeeds against the inner, or perhaps outer, force we call God. And we pray for forgiveness and a new start on a more righteous life. Late in the afternoon of Yom Kippur, Jews read one last passage from the bible. What could be uplifting and inspiring enough to help us finally turn around and enter the gates of heaven? Did the ancient rabbis play a joke on us? What is the story of this reluctant and ridiculous prophet good for besides comic relief? Kum (קוּם) = Get up! Stand up! Rise! Arise! Jonah son of Amittai is not a new prophet; he appears earlier in the bible as a prophet from Gat-Hachefer in the northern kingdom of Israel.1 At that time, Jonah tells King Jereboam II that God wants him to conquer some Aramean territory from Lebo-Hamat to the Dead Sea. The king does so. 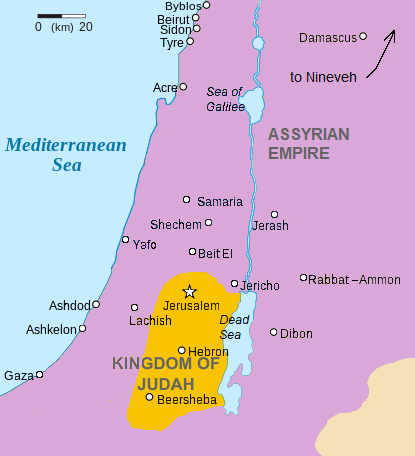 Jereboam II expanded the kingdom of Israel circa 790-750 B.C.E. About ten years after his death, the king of the Neo-Assyrian Empire, Tiglath-Pileser III, began chipping away at Israel, capturing town after town and deporting its leading citizens. In 722 B.C.E. the Assyrian king Sargon II conquered its capital, Samaria, and the northern kingdom of Israel ceased to exist. Some of its residents escaped deportation by fleeing to the southern kingdom of Judah, which the Assyrian armies had reduced to a small vassal state required to send annual tribute to Assyria. The capital of the Neo-Assyrian Empire was Nineveh.2 When the book of Jonah was written down, probably in 3rd century B.C.E. Judah, any Israelite would think of “Nineveh” as an evil enemy. 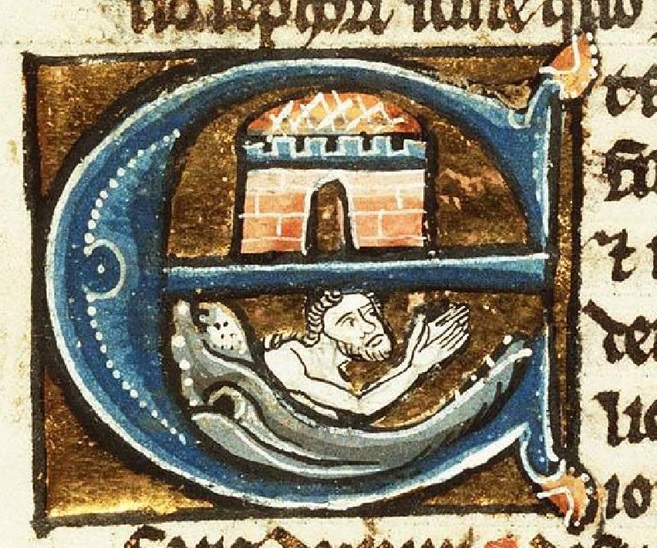 Jonah gets up, but then instead of heading northeast to Nineveh, he flees toward Tarshish, the westernmost city on the Mediterranean known to the ancient Israelites. Does he think he can run away from God? Probably not. Jonah simply does not want to hear God’s call, either because he is afraid of prophesying in Nineveh or, as he says later, because he does not want God to forgive Nineveh for any reason. So he gets up—and then flees inside himself, going down into denial: down to the seaport and down into the ship. When a storm threatens to break up the ship, Jonah goes even farther down. Unconsciousness is the only way he can escape his feelings of fear and hatred regarding Nineveh, or his guilt over disobeying God. The sailors cast lots to see whose god is responsible for the storm, and the lot falls on Jonah. 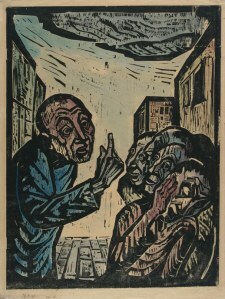 Jonah admits he is running away from his god, and asks them to throw him overboard in order to end the storm. He would rather die than do teshuvah. But at least he is honest, and makes an effort to save the lives of innocent bystanders. Only Jonah has turned away from God; only Jonah needs to do teshuvah. Finally the sailors give up and follow Jonah’s orders. The prophet begins to sink—but God will not let him descend any farther. In the subsequent hymn Jonah even expresses thanks to God for saving his life.3 He appears to have turned around. This time Jonah gets up and walks in the right direction. But we soon learn that despite his poetic prayer inside the fish, he has not really turned around inside his mind. He obeys God only minimally: he walks into the city, utters five words in Hebrew (“Another forty days and Nineveh will be overthrown”), and leaves with no explanation. Today we do teshuvah by praying and searching our souls. Many Jews also fast during the day of Yom Kippur. In the Hebrew Bible people do teshuvah by fasting, wearing scratchy sackcloth, and lying in ashes. Someone listening to the book of Jonah at a Yom Kippur service might think: If even the Ninevites could do teshuvah, then so could anyone. And if God could forgive Nineveh, then I could forgive all those people I believe have harmed my people. With that question hanging in the air, Jonah builds himself a sukkah5 where he has a view of the city, and sits down to wait 40 days to see what happens. God supplies a vine to give Jonah shade; the next day God makes it wither and sends a hot east wind. This triggers Jonah’s anger and death-wish again. Someone at a Yom Kippur service might think: I keep screwing up, like Jonah, but maybe God will be patient and give me another chance, too. Maybe God will even teach me how to be less angry, more aware, and more compassionate. 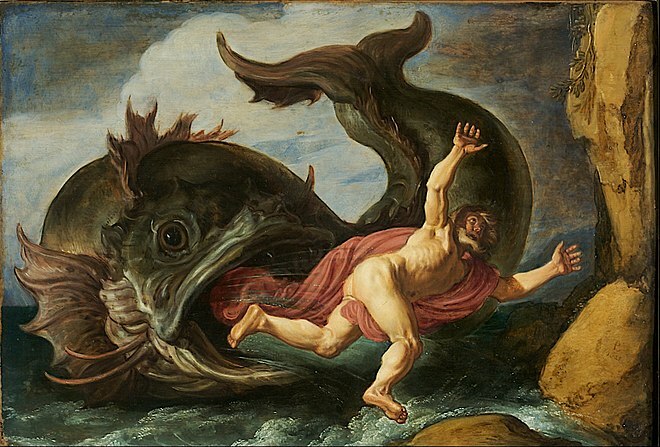 Behind the humor of the story, the book of Jonah can indeed inspire listeners to complete the work of Yom Kippur, to finally do teshuvah and atone with God—whether we think of God as the ruler of the universe and creator of miracles (such as a fish a man can live inside for three days), or as a mysteriou force within us. Anyway, a little humor near the end of a long fast can only help. 2 Kings 14:25. 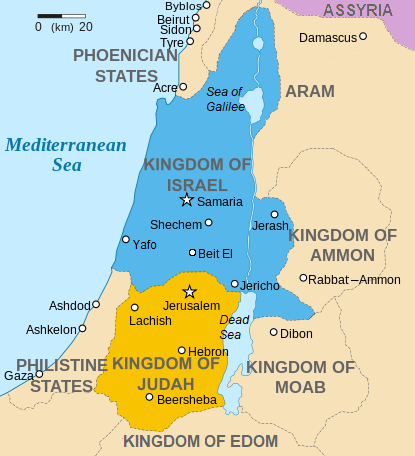 From about 930 to 722 B.C.E., Israelites lived in two kingdoms, the more prosperous northern kingdom of Israel (capital: Samaria) and the poorer southern kingdom of Judah (capital: Jerusalem). King Sargon II moved the capital of the Neo-Assyrian Empire from Kalhu/Nimrud to the district of Nineveh circa 710 B.C.E., when he built a new city called Dur Sharrukin (Sargon’s City) close to the old walled city of Nineveh. Jonah actually recites the first five of the 13 attributes of God, given in Exodus 34:6-7 and repeated during Yom Kippur. Sukkah (סֻכָּה) hut, temporary shelter. It is a Jewish tradition to take meals in a sukkah during the week of Sukkot, which follows Yom Kippur.